For photography or videography I really like using the Aputure VS-2 FineHD monitor. It just got 4X better. 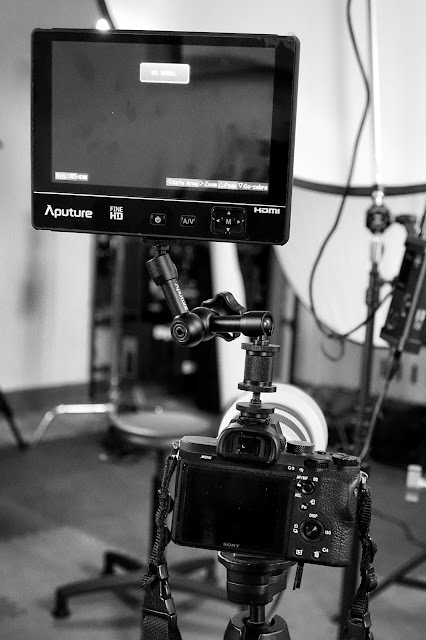 I was very happy with my purchase and subsequent uses of the the Aputure VS-2 HD monitor. It did everything I expected a seven inch, 1080P monitor to do, and a lot more. It was a screaming bargain. But, it was only a 2K monitor. It was not designed to accept and display a 4K signal. If I plugged it into the HDMI output of my 4K cameras I could see my composition while in "standby" but the second I hit the red record button the image on the screen would go black and the screen on the back of the camera lit up and became my display screen for UHD video. I was okay with that. No one promised me a 4K monitor for the princely sum of around $250. When I came back from my recent assignment I happened to read something on RedShark or Cinema5D (can never remember which) that indicated there had been a firmware update for the monitor. How wild!! A firmware update for a bargain monitor. I was impressed just by that. A few minutes later I went to the Aputure site and was impressed to find that the firmware update would give me monitoring capability for 4K. Very exciting, and just in time. I tried to download and expand (unzip) the file on three different machines and three different browsers but something kept tossing the download into a loop and it just kept making more zipped files when I clicked on it to expand. That's when I called in an expert. Enter Frank. A few deft keystrokes later and he sent me the .bin file like it was no big deal. I hooked up the download cable supplied originally with the monitor and carefully followed the instructions. Three minutes later I restarted the monitor, hooked it to a Sony A7Rii, and monitored me up some 4K. Of course, the screen resolution hasn't changed, it's just that now the monitor can handle the bigger video stream and downsize it on the fly for me to see. That's some pretty cool customer service. Some of the big boys could learn from that. I've bought six Aputure products in the last two months and so far not a single one has disappointed. Happy to have discovered this brand of photo stuff. Disclaimer: I'm happy with the stuff I've bought and used from Aputure. I paid for all of it with my own money. All bought directly from Precision Camera in Austin, Texas. Nice folks. They also don't pay me squat for saying nice things about them. I go there for the service, the great prices and a mix of products that work well for me. Sometimes I just call them and they deliver. It's so (nicely) last century. Next product from Aputure for me? Might just be their new "Diety" microphone. Looks interesting and it's getting some great reviews.